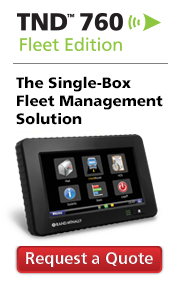 At Rand McNally, as regulations change, so do our mobile fleet management solutions. For example, as Hours of Service rule changes like those going into effect July 1 occur, we push corresponding software updates to your devices out in the field, seamlessly and over the air. That’s our way of helping customers stay compliant, and simplifying the task of HOS compliance. This week, as you prepare for the upcoming HOS rule changes, it is important to review the specific rules that are being altered and what that change entails. Stay compliant, and find out what it all means here. Want to learn more about Rand McNally’s mobile fleet management solutions, and how they can help simplify HOS compliance, aiding in increasing safety and helping to minimize costly violations? Click below. In the business of trucking, streamlined dispatch operations and satisfied drivers are paramount to overall customer satisfaction and bottom-line performance. Now Rand McNally is making this goal more achievable through its integrated Workflow application. 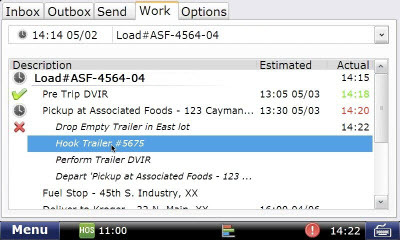 With Workflow, instead of forcing the driver to sift through long lists of form messages, historically referred to as “macros," each driver receives an easy- to-understand trip plan. This includes a schedule for the day plus an ordered list of tasks that need to be completed at each stop. As the driver progresses through his trip, the tasks are checked off and compared to the planned schedule. To ensure the driver goes to the correct location, Rand McNally’s IntelliRoute® TND™ truck-specific navigation software ties into the trip plan, and allows drivers to simply push a button and have the navigation direct them to the next stop. Similarly, many tasks such as sending messages that indicate “arrived at shipper” or “departed consignee” are automated and do not require the driver to take any action. From the dispatch operations perspective, data flows seamlessly into the transportation management software. Dispatchers are automatically notified when vehicles arrive at or depart from their destination, and the software is updated so customer service representatives have the most up-to-date information when they field inquiries from customers. Fleet managers benefit by having clear visibility into operational results for each trip. Workflow’s integration-ready reporting feature allows fleet managers to view data such as fuel usage, MPG and idle time, for a specific trip. This allows analysts to conduct trip-level profitability analysis, help discover where inneficiencies might lay, and work to correct these. Plus, since no two operations are completely the same, Workflow is designed to be highly flexible and customizable. Many users operate with a variety of different workflows for different customers – a one size fits all approach is not needed. According to recent ATA and industry analyst reports, the 2013 outlook on the trucking segment is stronger. The ATA American Trends 2013 report, released in late May by the American Trucking Associations, states 9.4 billion tons of freight were moved by truck in 20121, showing solid growth from 2011. 1 (June 3, 2013). ATA report shows trucking is ‘literal lifeblood’ of economy. Commercial Carrier Journal. 2 (June 17, 2013). New Research Identifies Significant Flaws in 34-Hour Restart Benefit-Cost Calculations. PR Newswire. 3 Crissey, J. (May 0, 2013). Industry analyst ‘less pessimistic’ about trucking outlook. Commercial Carrier Journal.